Rosie reviewing the land. There are so many plastic fields at the moment, covering the soil to warm it up. They look oddly like a lake on a slope. 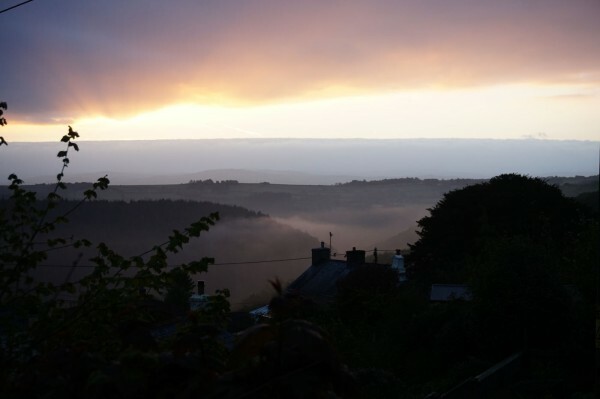 I happened to get up early a couple of days ago because Brythen had an upset tum, and this was the view outside the door, so I snapped it before I went back to bed. Oh that gorgeous intense blue! And the valley looks like someplace in a dream. 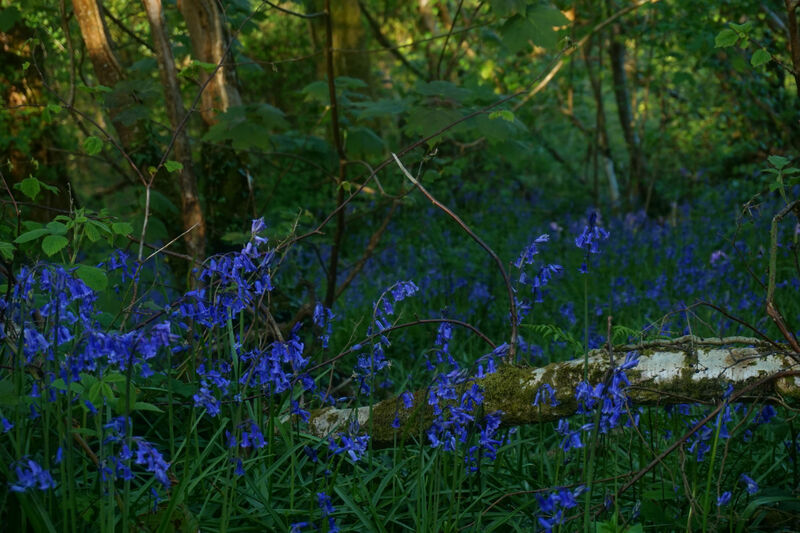 That wood has some particularly good bluebells! I was half in a dream myself at 5am, to be honest, I'm kind of surprised the photo came out in focus! 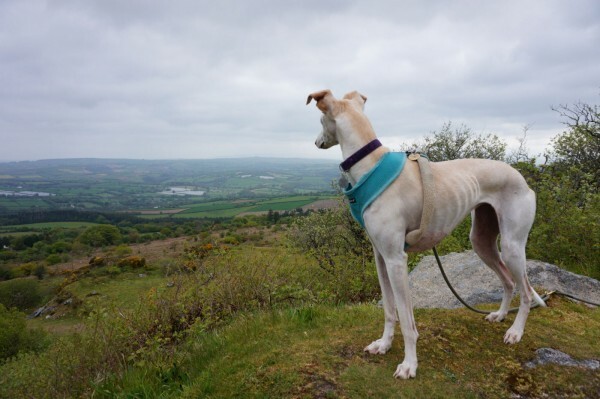 Rosie sings: 'This land is my land, this land is my land. (Yes, you did hear correctly)'. You have correctly identified the Song of the Rosie. Oh, what beauty! (Yes, Rosie, I mean you, but the views as well.) Thanks for sharing. I fear Rosie thinks herself more beautiful than any flower. Vain Rosie! Brythen is fine. He just had a minor upset that morning. Probably ate something unfortunate: he has a delicate tum! 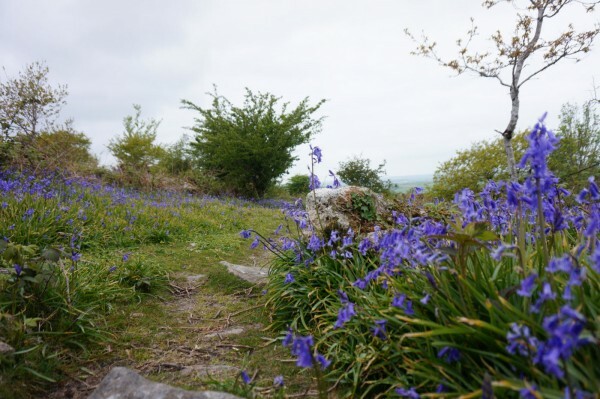 How did you make the bluebells stay still to have their photo taken? Usually they sneak away and leave a sea of green. So true, they do don't they? 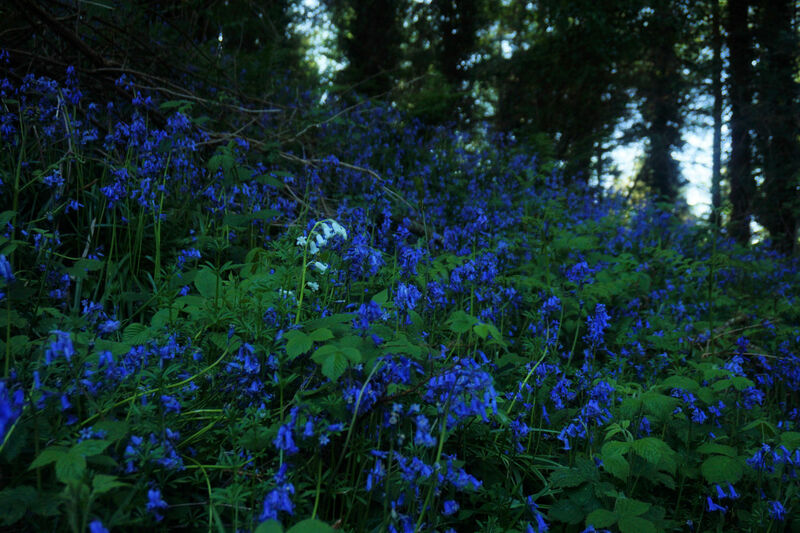 The camera manual settings and white balance are much better at catching them: an auto whitebalance tries to move the whole image away from blue towards an average, which obviously doesn't work for bluebells! Aha. Technical but cunning! I've never known what it was that made blue slither out of photos. Beautiful! And a lovely shot of Rosie. Do you have to make special expeditions to high places to please her? It's too dry here. 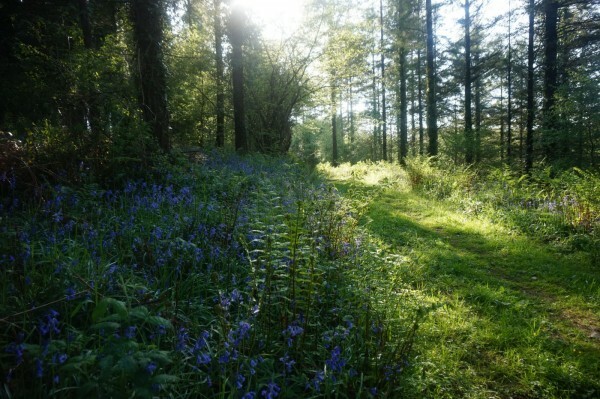 The bluebells are going over already. Ours are starting to, but it's damper here down in the river valley, even without rain, we get the morning fogs. Ah, the bluebells are breathtaking.